The Seattle Sports Explorer Dry Bag is built to withstand serious abuse. Domestically manufactured with high quality 19oz. 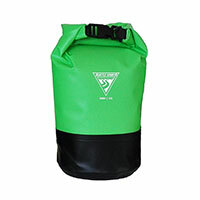 vinyl and radio-frequency welded seams, the Explorer Dry Bag is a time-tested, user-approved dry stuff bag.